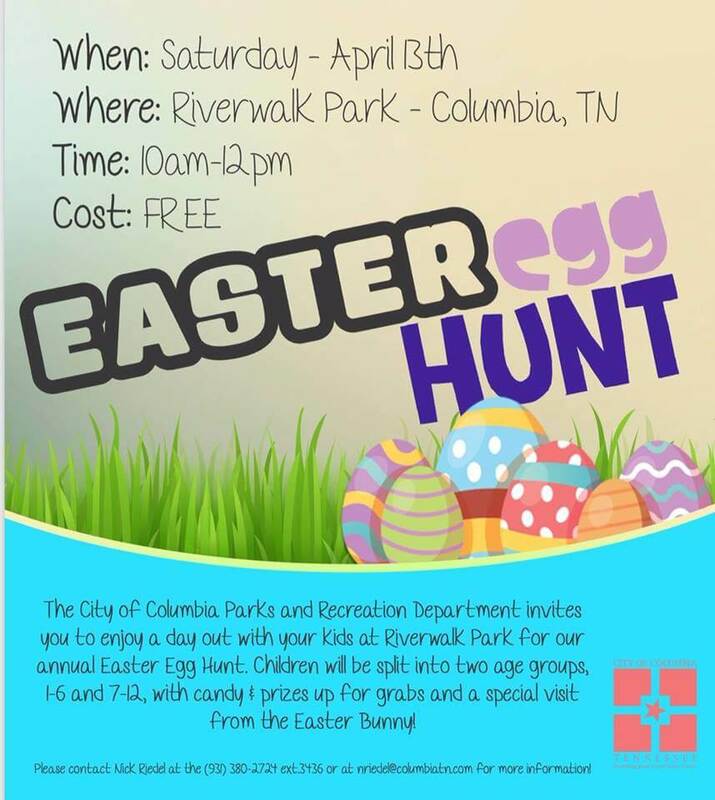 The City of Columbia Parks and Recreation Department will be hosting an Easter Egg Hunt at Riverwalk Park, April 13th at 10:00am. This year’s Egg Hunt will take place at Riverwalk Park with parking adjacent to Riverside School with some new additions. There will be 2 age groups; 1-6 and 7-12. Each group will be placed in separate areas stockpiled full of eggs containing candy and prizes up for grabs. For more information, contact us at the Armory Recreation and Fitness Center at 503 Carter Street, Columbia, TN. 38401 or call us at 931-380-2742.